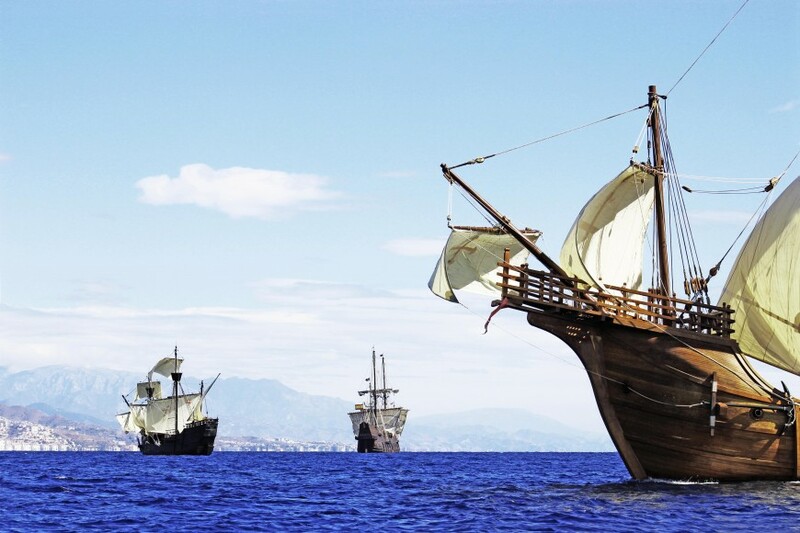 The replica of one of the most famous ships in Spanish maritime history will arrive to Fort Myers, FL from San Juan, Puerto Rico and after crossing the Atlantic from Spain, to tour the ports of America and the United States. She is the Nao San María replica, which Christopher Columbus starred in the “Encuentro Entre Dos Mundos” in 1492, and which represents the type of Spanish ship, the nao, that crossed the Atlantic during the 15th and 16th centuries, uniting Spain with America, their peoples and cultures. The ship will arrive at Fort Myers and will dock in front of Nervous Nellie’s, where it will open its decks to the public from February 8 to 17. The ship was built in Spain in 2017 by the Nao Victoria Foundation, in collaboration with the “Diputación Provincial de Huelva”, and she was launched in Punta Umbría (Huelva, Spain), on March 16th , 2018. In her construction the historical rigor in its forms and details was respected, and a novel process was followed that unites the traditional crafts of riverbank carpentry with the most innovative systems in the shipbuilding sector. A faithful and beautiful replica the Spanish naos, built to real size of 200 tons, 29 m. of length and 8 m. of sleeve,, three masts and a bowsprit, being the height of the mast greater than almost 25 meters, five sails in his aloft and five decks, built with an exquisite work in wood of iroko and pine. During the year 2018 the Nao Santa María made a successful tour through numerous ports in Spain and France, and on November 26 began its great crossing of the Atlantic crossing from the island of La Gomera (I. Canarias-Spain). Navigating with traditional techniques and a crew of 17 men and women, after a journey of 22 days, arrived on the island of Puerto Rico last December. Now he is heading to Fort Myers to start a great tour of ports on the east coast of the US, and let the public know that he visits and covers their decks, how these ships were, their maneuvers of sails, rigging, details , and the history of these famous ships of Spanish maritime history.